Wubba lubba dub dub! What are the squanchiest things Rick has ever squanched? Rick & Morty has already earned itself the title of modern classic after just three short seasons, but it clearly didn’t earn that accolade through Rick’s kindness. The hard-drinking protagonist is usually grouped with Archer & BoJack Horseman from their titular shows, as well as Futurama’s Bender. Even amongst that rogues gallery though, he’s the worst of the lot. Though as a scientist he should have a largely peaceful life, death seems to follow wherever he goes. Because of this, things like ‘That Time Rick Killed...’ aren’t included unless they’re part of a bigger misdeed. That alone should give you some idea of the level of incident we’re dealing with here. There are definitely moments when Rick shows flashes of goodness. Though he doesn’t always admit it, he loves his grandkids and can’t bear to not have Beth in his life. 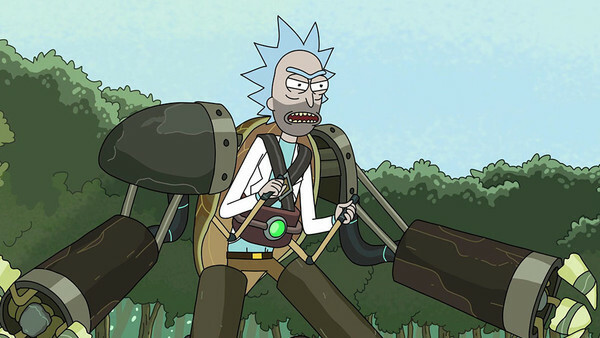 Compared to all the Ricks in the multiverse, ‘our’ Rick seems the least corporate, the least keen on actively oppressing others. Loves his family and isn’t a dictator is a low bar to set your standards by though, and Rick has a lot of bad to wash out the good.